On August 31, Target proudly announced it had reached its 5-year goal to donate $1 billion to education by 2015. Two weeks later, the retailer started putting schools on notice that an initiative that comprised over 40% of that charitable total would be eliminated. The ‘Take Charge of Education’ program designates 1% of Redcard holders’ purchases to a school of their choice and donated over $432 million to more than 100,000 U.S. public schools since the program’s inception in 1997. Laysha Ward, Target’s chief corporate social responsibility officer, told the StarTribune that they will shift the company’s social responsibility focus from education to health and wellness. According to Ward, only 10% of Redcard holders were enrolled in the program and many did not remember if they had designated a school. Citing results from consumer surveys as a rationale for the massive shift, Ward shared that consumers now list health as their primary concern. Ward said ’Take Charge of Education’ will end in May of 2016 and Target will be testing new campaigns this fall. 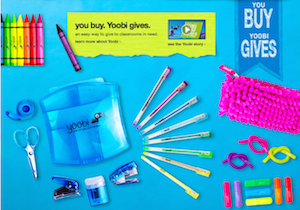 It’s likely that the new efforts will take a ‘buy-one, give-one’ format similar to the retailer’s back-to-school campaign last year with BOGO-company Yoobi. Target will focus on three components of wellness including healthy eating, active living and cleaner labels and will also make changes to its products to offer more natural and healthful options. Target faces stiff competition in the wellness/cause space, most notably from CVS and Walgreens and their well-established focus on healthy living. Is there room for one more? Only time, communications and consumer engagement will tell. What do you think of this major shift from Target? Weigh in with your comments below! Health and wellness makes sense for Target (though I agree they are jumping into a "red ocean" with this). And surveys of Target customers may indeed show that some don’t even remember designating a school for donation. But it seems to me that Target unnecessarily risks bad PR and customer backlash by unilaterally canceling the education initiative. Why not let their Redcard customers choose for themselves whether to support schools or health? 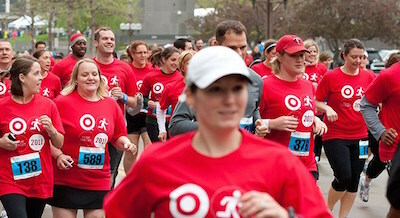 Over time Target can lead their customers to follow them to the health & wellness cause marketing initiatives. But simply canceling the Take Charge of Education program seems like clumsy implementation. Great point, Bill. Wonder if they even considered ASKING those Redcard holders?